OK it sounds like we have had a really strange set of visitors…. but it was all in the name of love! 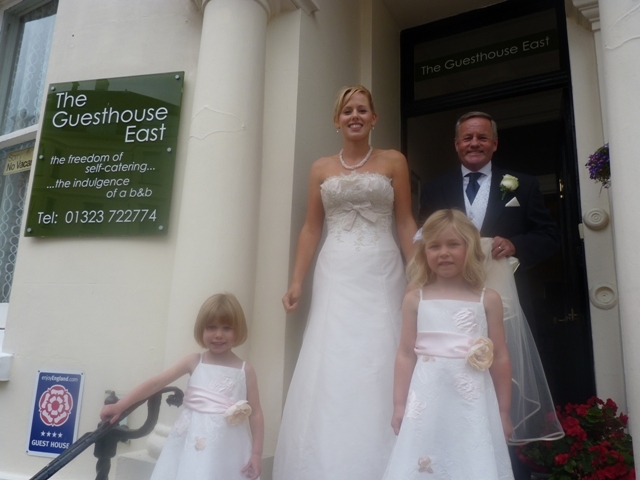 The delightful Bishop family took over The Guesthouse East last weekend as they were attending the wedding of daughter Elena in East Dean. 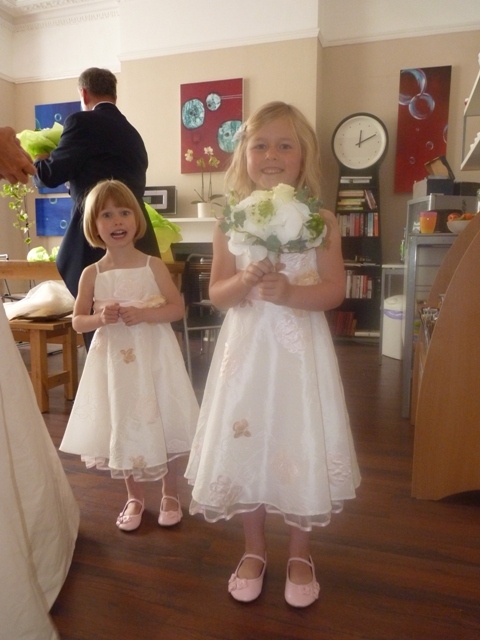 Our Grade II listed building was filled with the pitter patter of children’s feet as Elena’s lovely nieces and nephew got ready for the big day. And while the adults primped and preened, groomed and glossed getting ready for the ceremony, the little ones had a great time working off a bit of steam on the trampoline in our back garden before they had to get into their finery. We even got a few days off cooking breakfasts as dad David is a dab hand at a full English and took over our kitchen for the weekend, whipping up delights for his family. Are you sure you don’t want a job here? !